Motorola/Google lost a bit of ground in their patent litigation against Microsoft when the U.S. District Court for the Western District of Washington invalidated or dismissed thirteen of Motorola's patent infringement claims. The litigation claims that Microsoft infringed on sixteen of Motorola's patents with the Windows Phone and Xbox 360 systems. Judge James L. Robart granted Microsoft's motion for summary judgment and that the claims were invalid as indefinite under U.S. patent law. 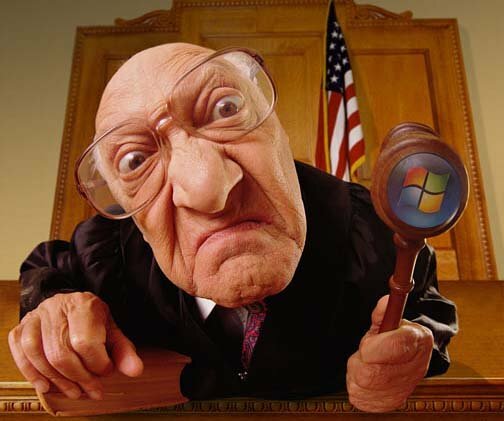 The ruling doesn't end the dispute between Microsoft and Motorola/Google. However, the remaining claims could be ruled invalid under the application of the law. There's no time frame on when the Court will rule on the additional patent claims. The motion ruled on today was filed ten months ago and hopefully, the remaining claims will be ruled on sooner than later to put an end to this patent war. You can find the full brief on Judge Robart's ruling here.